I had to share this from “The Dollar Store Mom”! My kids would have loved these little boats and spent hours playing standing on chairs in front of the kitchen sink with garbage bags covering them while the floor floated 🙂 This project was from “Jen of Mama. Papa. Bubba” and it is so creative. 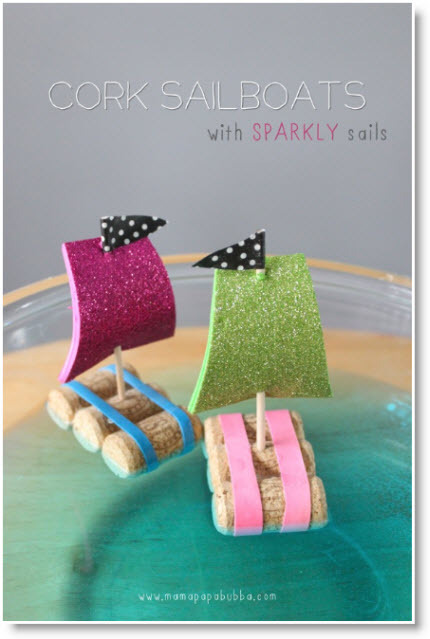 Thanks for sharing this darling Sailboat tutorial.